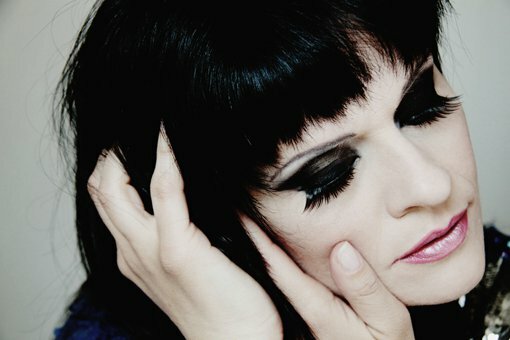 Mari ( aka Marina Conti) is an Italian singer songwriter who has always been immersed in music . She graduated with a degree in Technical Communications and Music Marketing and she produced and presented the program on the Italian based web radio ‘RAZ’ called ‘Pick Out’. The program was created around Mari’s favorite trip-hop and electronic bands: Air, Portishead, Massive Attack, Thievery Corporation, Goldfrapp and Zero 7, one of whose members she would work with in the future. Mari worked with various music magazines where she had opportunities to know and interview numerous international musicians and singers. One of these the American guitarist Gary Lucas with whom she wrote ‘You Will See My Flame Again,’ an unreleased song dedicated to a great Lucas’ friend, well renowned singer, songwriter and guitarist, the late Jeff Buckley. A decisive meeting for Mari’s career has been the one with Mozez , the front man with the million selling Zero 7 with whom she co-wrote her debut album ‘Gentle Beauty’, a collection of 12 songs produced by Mozez for his record label Numen Records. Free, the second single from the album is out now on iTunes, Numen Records and all the leading outlets. The track has been re-mixed by the British remixer and producer Raj Gupta ( Roxy Music, Freddy Mercury,Shirley Bassey, Gorillaz and many other). The Album Gentle Beauty is currently available on Numen Records and on iTunes , Amazon, Spotify and all the major online music distributors. I like comparing my connection with music as a parallel and faithful path that has always accompanied me since I was very young. Although I was working as a sales assistant in a high fashion clothing store, I began to notice that often people's lives around me were somehow like a music composition. The connection between them coming from different backgrounds often intrigued me somehow. They were like musical notes. Those mysterious coincidences, unplanned encounters which were then revealed important developed in me a link , an unconditional trust and love for music which has never left me. Now I'm starting to walk through this path although this is just the beginning of it, I hope it will accompany me for the rest of my life..’ Mari. WPAL - Paladin Radio is very happy to be adding Mari to Our play rotation and introduce this international artist to the world stage. 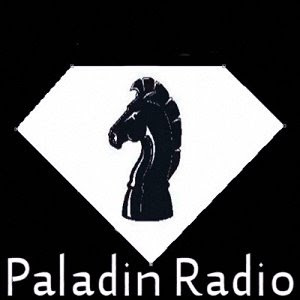 As always one of the missions of Paladin radio to break down the market lines that seem to exist for international and indie artist like and expose people to great music that would not normaly get attentions of radio stations. Please check out all of this artist links and lend Mari your support.